The successful Captain of Pakistan, Misbah-Ul-Haq, has urged his batsmen to show their class in the forthcoming One Day Series against England and continue their winning spree. Pakistan humiliated England by handing over them a clean sweep of 3-0 in the recently concluded three Test series. The batsmen from both sides struggled in the entire series and especially the English batsmen were mesmerized by the quality bowling of Pakistan. Azhar Ali and Younis Khan flourished in the second innings of the last Test at Dubai International Cricket Stadium. Pakistan was bowled out for mere 99 runs in their first innings and England took a lead of 42 runs while accumulating 141 runs in their first turn. Pakistan lashed back at them by the courtesy of Azhar and Younis who smashed 157 and 127 runs respectively which enabled the home side to pile up 365 runs in their second innings. 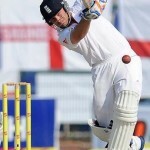 England was restricted to 252 runs in their second innings and they lost the third Test by 71 runs on February 6, 2012. That was the only solid performance in the series and no other batsman was able to catch three figures. Azhar was the highest scorer in the series by thrashing 251 runs at an excellent average of 50.20, the best of 157 runs with one fifty. Younis followed him with 193 runs, averaging 38.60, with the best of 127 runs. Mohammad Hafeez contributed 190 at an average of 38.00 with one fifty, Misbah himself managed 180 averaging 36.00 and the young Asad Shafiq was able to post 167 runs while achieving an average of 33.40 with two fifties. The Pakistani spinners ruled the Test series and English batsmen were unable to cope with their quality bowling. Especially the spin duo of Saeed Ajmal and Abdur Rehman destroyed their batting by grabbing 43 wickets between them. Ajmal was the top wicket taker in the series with 24 at a supreme average of 14.70 runs per wicket, the best of 7 for 55 in an innings and 10 for 97 in a match and he was declared ‘Player of the series’. Rehman followed suit by claiming 19 wickets at a premium average of 16.70. Their fast bolwer Umar Gul assisted the spinners well by securing 11 wickets at a reasonable average of 22.27 runs per wicket. 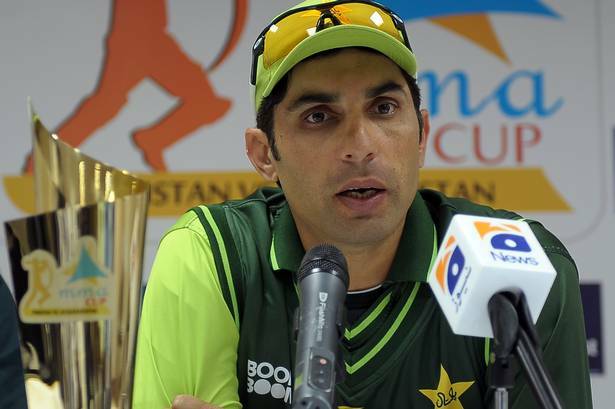 Misbah anticipates promising performance from his batting line up to win the four match ODI series against England but he has to lead from the front by his own batting. The first match will be played at Sheikh Zayed Stadium, Abu Dhabi on February 13, 2012.